TOKYO -- Nissan Motor Co. is creating a new business division that combines product planning, marketing, advertising and public relations to strengthen global branding. Andy Palmer, currently senior vice president in charge of global planning and program management, will add the new Global Marketing Communications division to his portfolio. Simon Sproule, who now heads global communications for the Renault-Nissan alliance in Paris, will return to Japan to lead the new unit and report to Palmer. Sproule previously was global communications chief for Nissan before leaving and then returning to the alliance last year. Public relations will be folded under his umbrella. The reorganization comes as Nissan prepares to sell the Leaf electric vehicle, arguably its most important product launch in recent memory. Telegraphing the right message will be key to winning public acceptance for the zero-emissions, limited-range automobile. 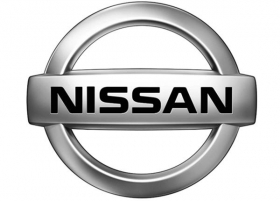 A Nissan insider said the goal of the new division is to create a clearer and more consistent brand image. The company aims to break down silos between such divisions as marketing, advertising and product planning to promote better cross-communication. Under the reshuffling, design chief Shiro Nakamura also will assume the additional role of “Brands Champion” and report directly to Nissan CEO Carlos Ghosn. The changes are effective Oct. 1.